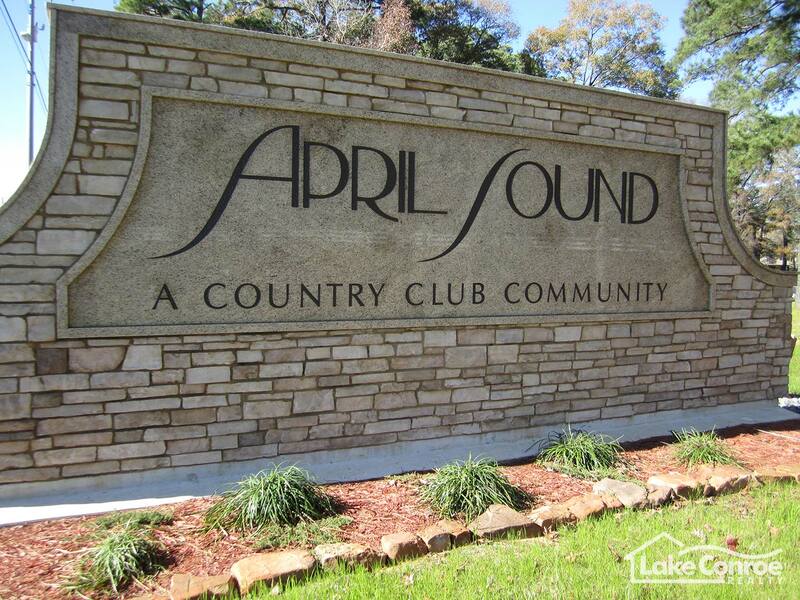 April Sound is a lovely gated community located off of Highway 105, only 5 miles from Downtown Montgomery and less than 10 miles from Conroe. 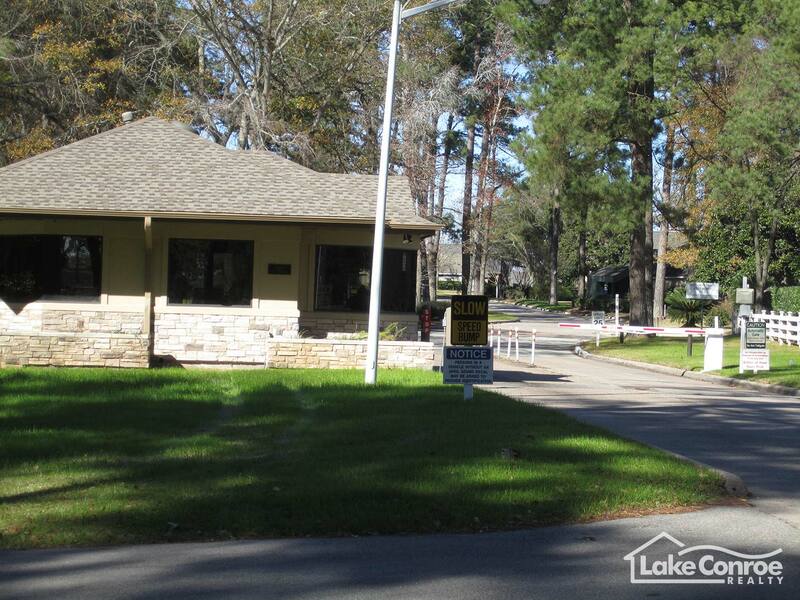 This is a prime location to experience that relatively quiet small town feel and many historical sights that Montgomery offers but close enough to Conroe and the Woodlands to enjoy all the excitement of restaurants and shopping of the city. 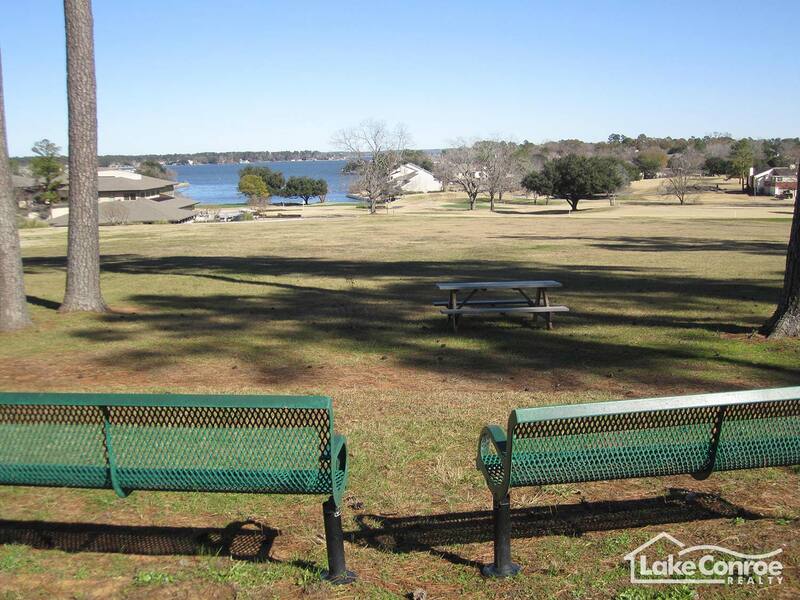 Another, and perhaps the biggest plus of this community is its location and access to Lake Conroe. 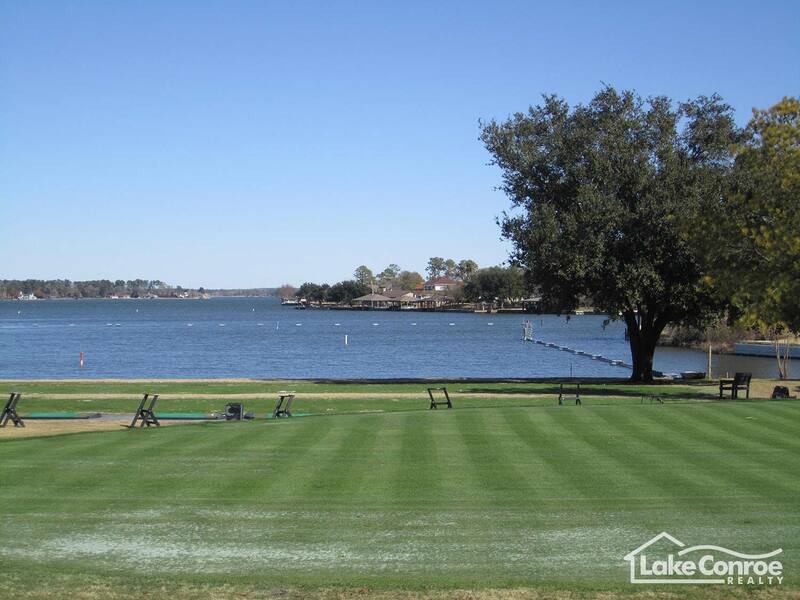 Lake Conroe has become one of the most popular destinations for families and individuals from Houston to unwind. April Sound has its own boat ramp which allows easy watercraft access to those who may not have waterfront houses with docks. 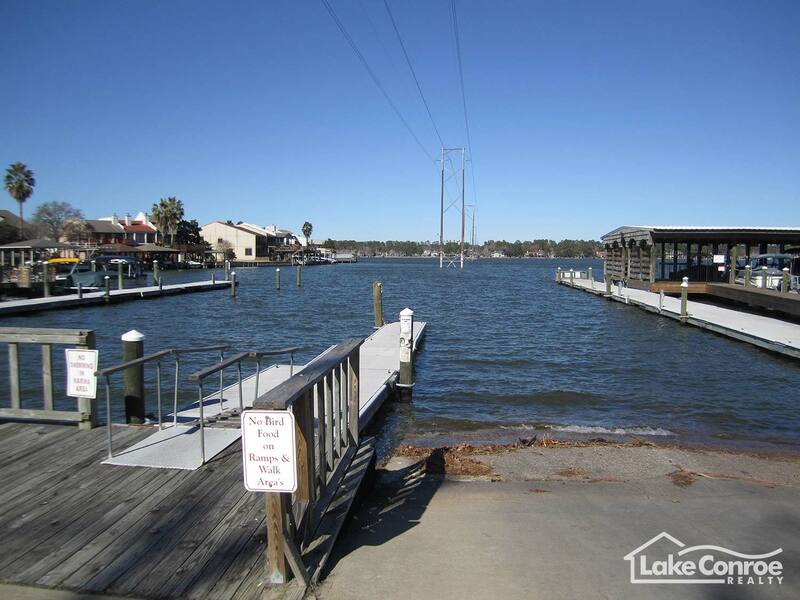 This allows many residents to enjoy fishing, water skiing, jet skiing, knee boarding, sight seeing, or just taking leisurely cruises to the restaurants located on the lake such as Papa’s Icehouse, Wolfie’s, Sam’s Boat, and many others. On top of the communities central location is the prime 27 hole golf course, divided into three, 9 hole courses known as the Red 9, White 9, and Blue 9. Resident golfers have access to cart rentals, a brand new pro shop, and practice greens and ranges to hone your game before a round. 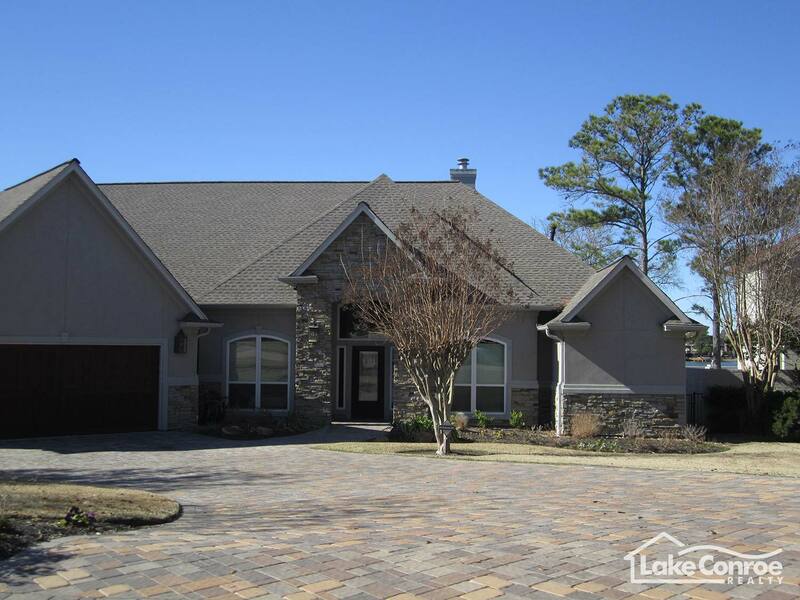 This is all located in close proximity to the recently constructed Country Club which offers lunch and dinner, a full bar, and hosts many community events that take place on a regular basis. 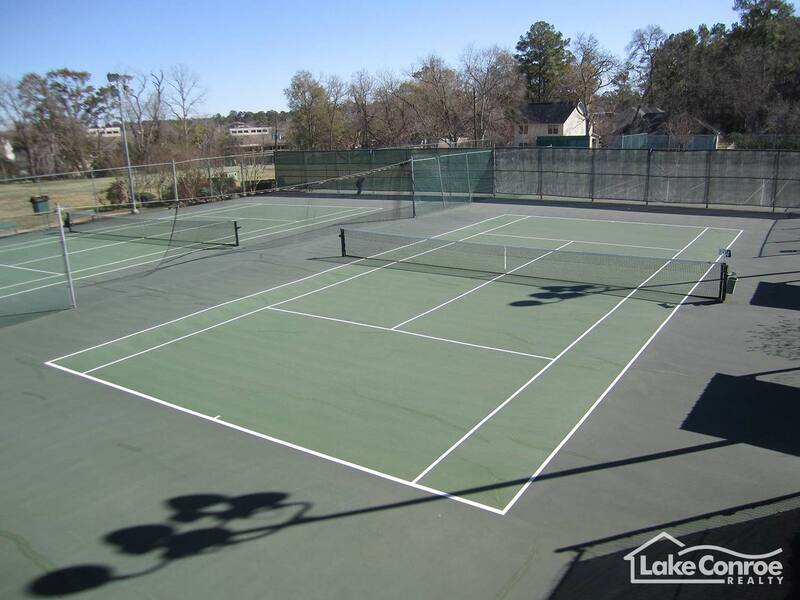 April Sound also possesses top notch Tennis courts which are open to members and community residents. 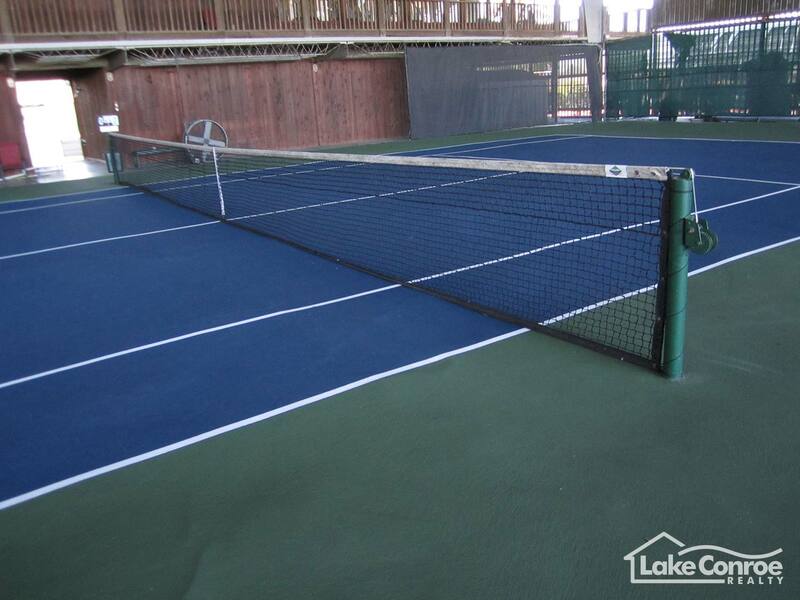 These courts are covered so rain or shine you can enjoy a match with friends or family. 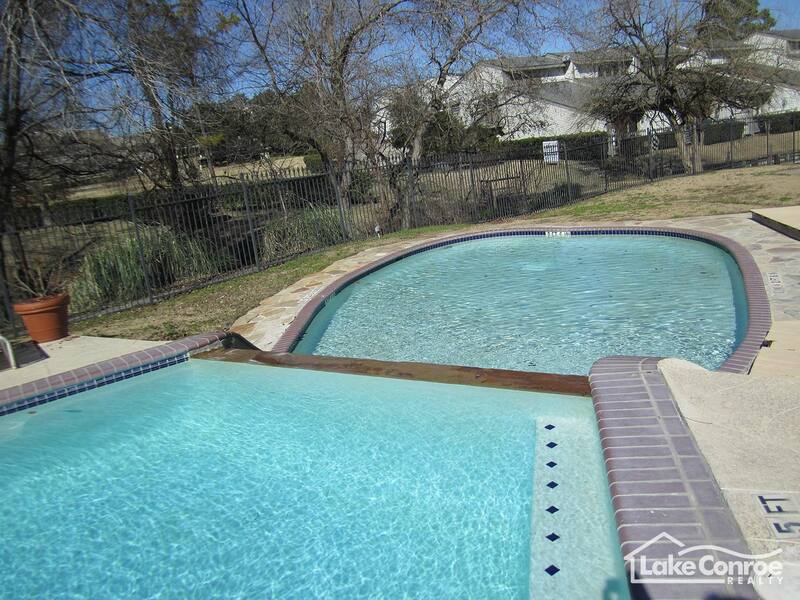 For everyone in the family there’s the community pool located within 50 yards of the Country Club. There are three pools; a children’s pool, community pool with diving board, and an adult pool with Jacuzzi all under lifeguard supervision at all times. The pools also surround a Cabana where you can order a bite to eat or enjoy a drink by the pool. 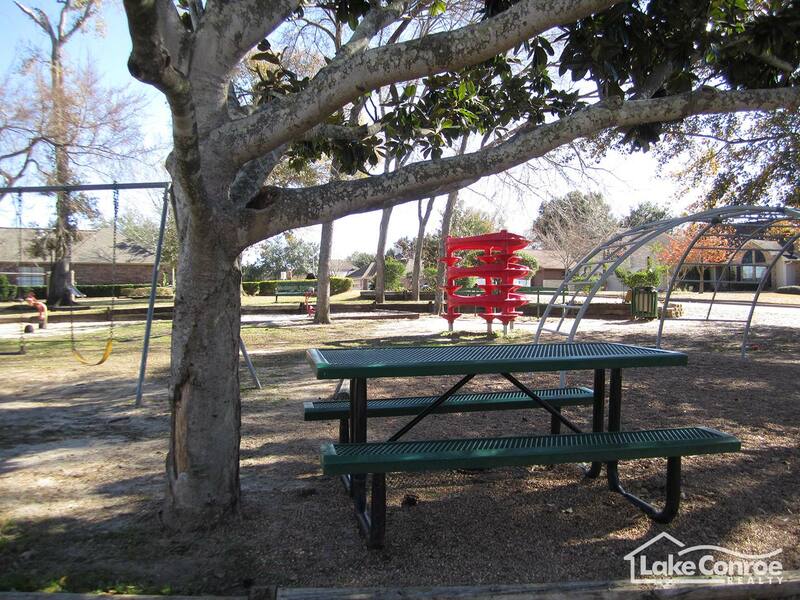 Dispersed within the communities are a few smaller parks for children to enjoy as well as a larger park that has a baseball field, a large field for soccer or football, swings, play grounds, and a gazebo with benches for barbeques or birthdays. The old Clubhouse was severely damaged due to a fire in 2007 and since then a brand new, modern Clubhouse has been constructed in its place. 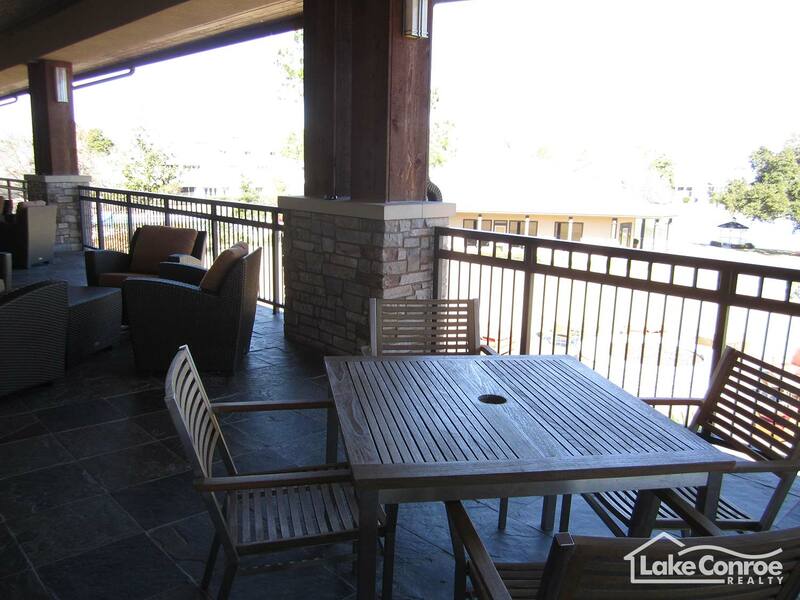 The clubhouse is operated by Club Corp of America and every resident pays a small social fee to keep the clubhouse and amenities fully staffed. 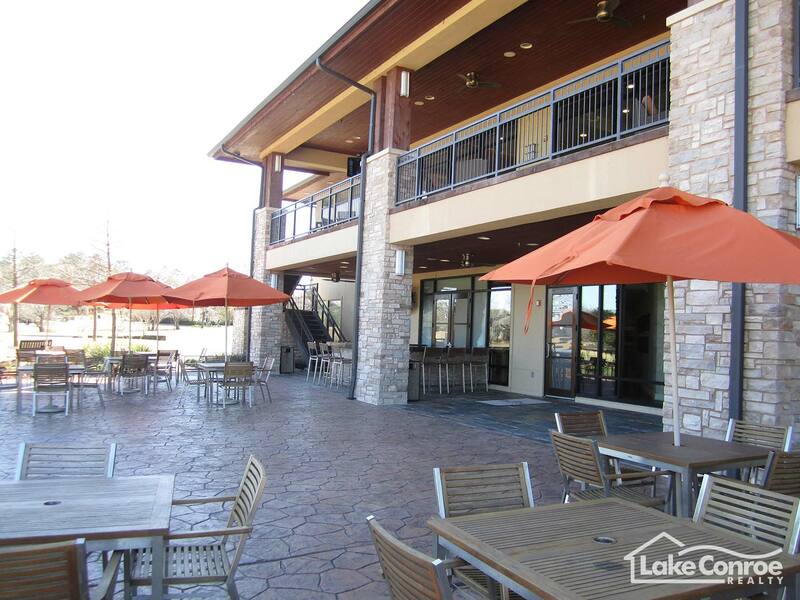 This Clubhouse is home to both casual and fine dining rooms that both overlook the scenic waters of Lake Conroe and have access to a full bar. Many community events take place here hosted by groups such as the POA among many other clubs and associations. The Pro Shop is also located in the clubhouse and many of the practice ranges and courses begin in very close proximity to the clubhouse as well. 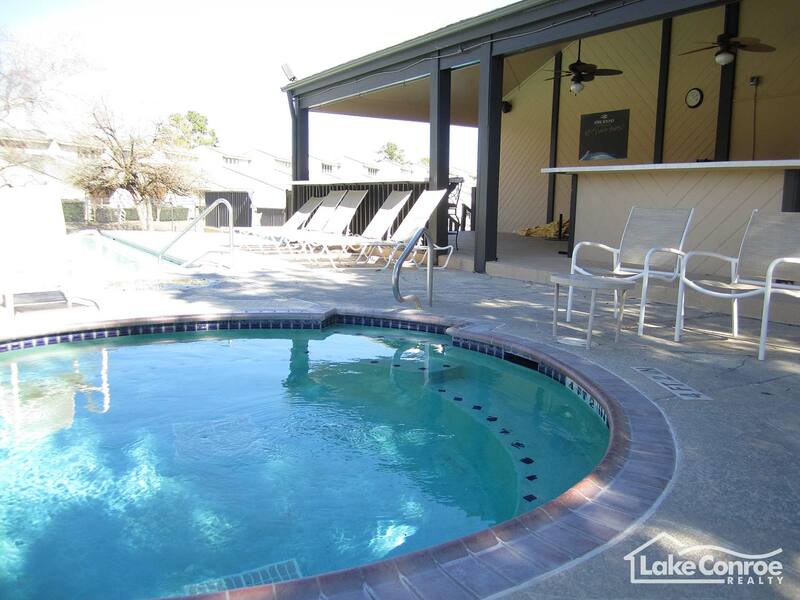 Not only that but the community pools are also very close to the clubhouse, allowing easy access to many of the amenities located within and around the Club. Ample parking adjacent to the clubhouse allows a convenient spot to take advantage of all the wonderful things the Club offers. The 27 hole championship golf course in April Sound is perhaps one of the best in the area. Divided into three separate sections the course consists of the Red, White, and Blue Nine. The Red nine begins right in front of the clubhouse and winds its way through many hills and trees in the heart of the community. The White nine starts adjacent to the red but takes players closer to the water with views of the lake on hole 9 of the white. The final nine, the Blue nine, is the most difficult and offers the biggest challenge among the other nine hole courses. It’s not just limited to the course either; there are a few practice facilities for members and residents to use. A large putting and chipping green complete with sand trap allows you to hone your short game before a round with friends or family. 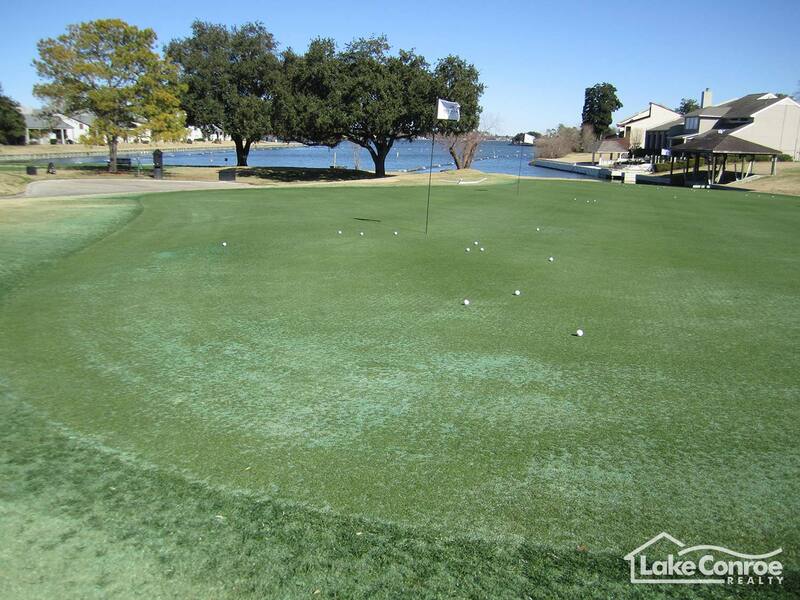 In addition April Sound sports the only aquatic driving range in the area allowing for some practice while enjoying the view and feel the lake offers. Many friendly and competitive tournaments take place occasionally for members to enjoy. During the summer and spring there are also golf lessons and camps for children who may want to become more active in a sport you can play a lifetime. April Sound is also home to a very large Tennis facility and activity center. 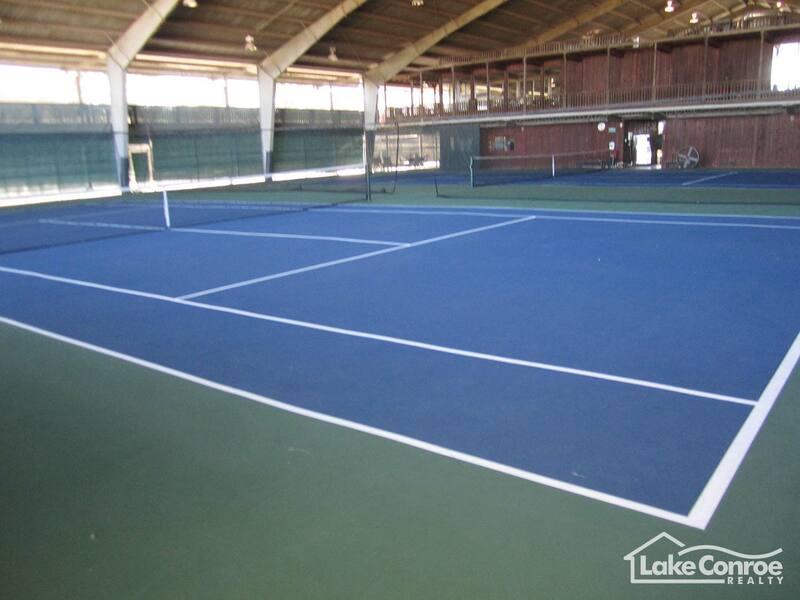 The facility consists of 4 covered courts and 8 outdoor for a grand total of 12. Whether rain or shine there is surely a match or two going on between residents taking advantage of such a wonderful facility. 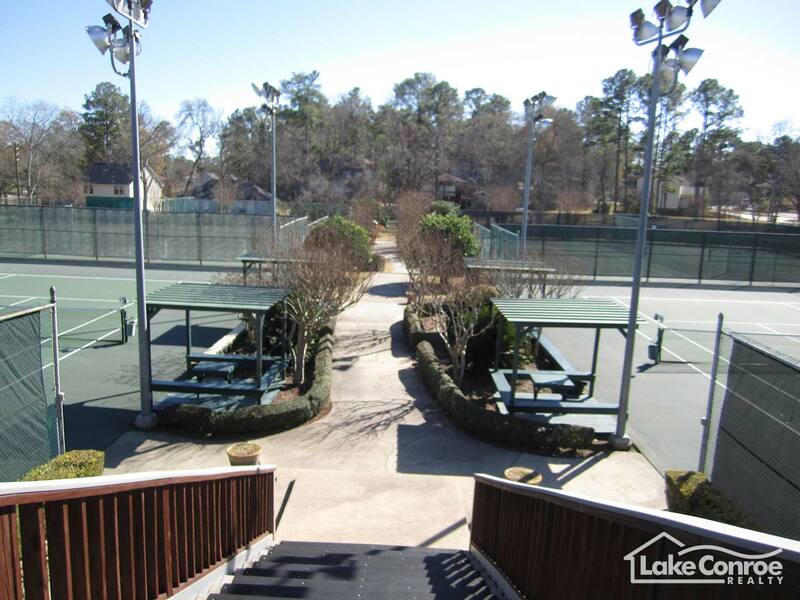 There are men’s and women’s club teams and benefit tournaments that take place within the courts. The Pro Shop has also recently been renovated to better serve those who enjoy such a sport. There are three pools available to all residents of April Sound and all of them are in very close proximity of the Clubhouse. The parking lots are also very close and since the streets are private you can take a golf cart down to the pool for some family fun. There is a kiddie pool for all the young children, a large community pool with a diving board for all ages, and finally an adult pool with a hot tub. All of the pools are under constant lifeguard supervision and when you're not swimming you can lay out on one of the many loungers around the pool and enjoy a bite to eat or drink from the adjacent Cabana so there's something for everyone in the family. 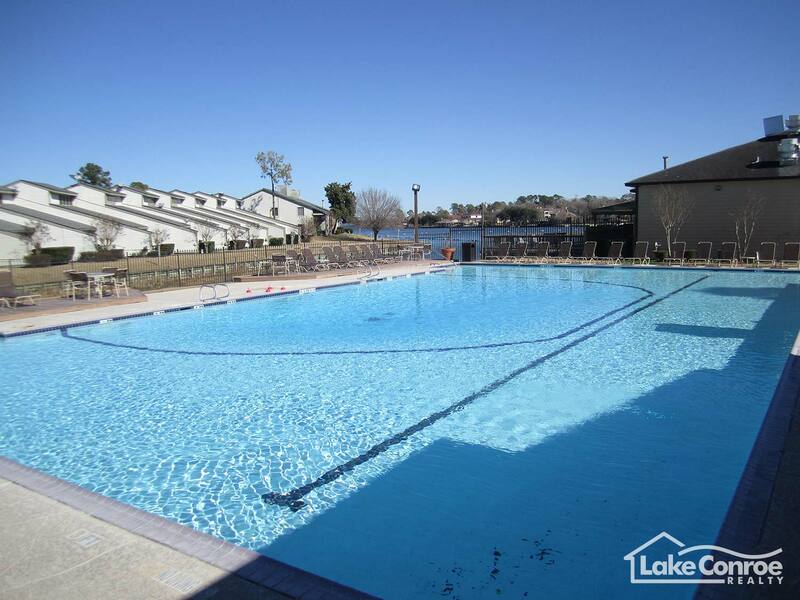 In addition to the main community pools there are two pools located among the Condos in April Sound, which are only accessible to Condo or Townhouse residents. A major plus to April Sound is its very own marina and boat launch for the residents who do not live waterfront. This gives many residents ready access to activities such as fishing, jet skiing, and other water leisure activities. 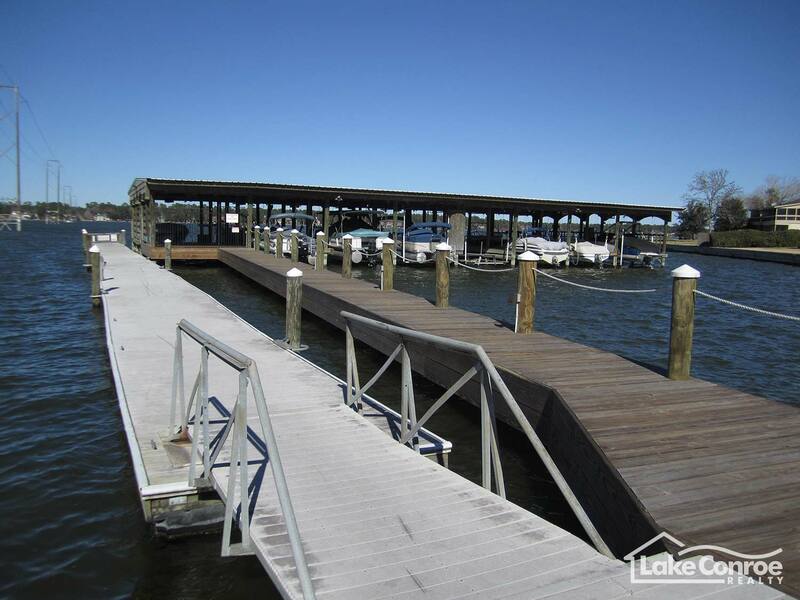 You can take your boat from the Marina to the some sixteen lakeside dining restaurants or just take a scenic boat ride up to the Sam Houston National Forest on the North end of the lake. 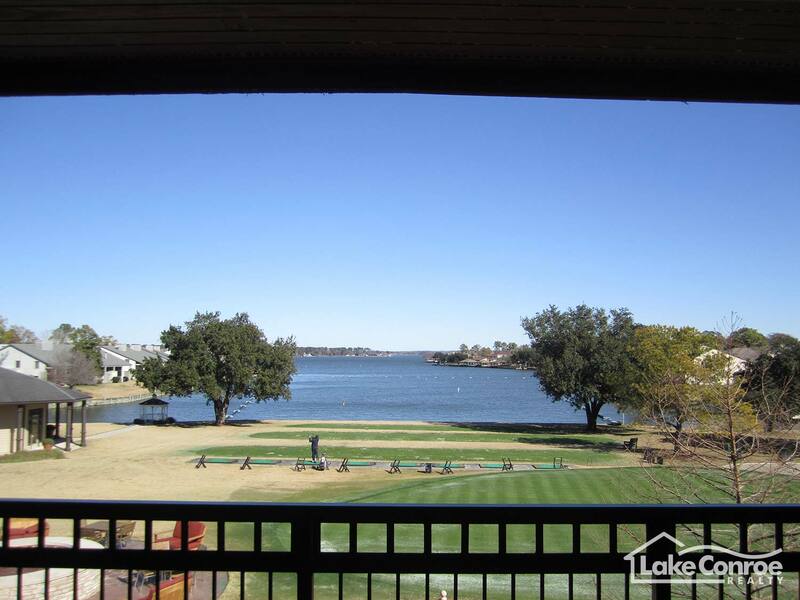 Lake Conroe is so popular it has become known as Houston's Playground. 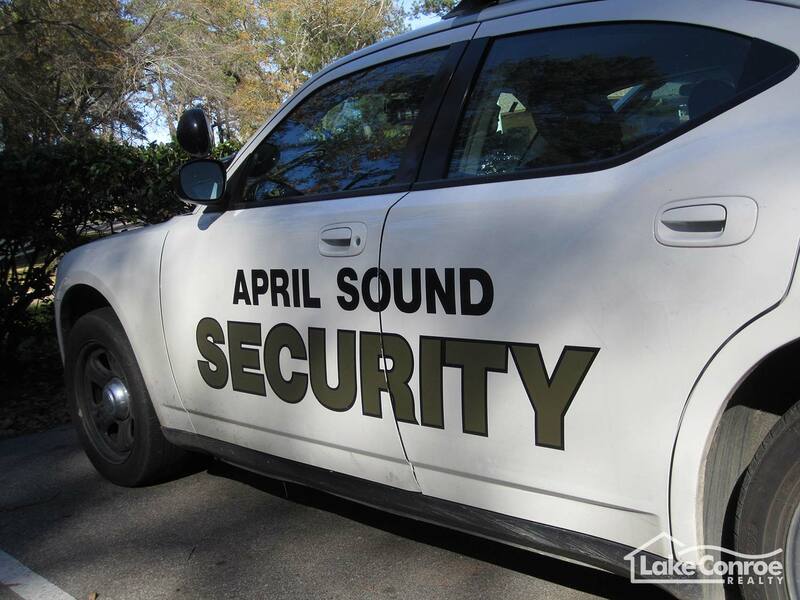 April Sound has perhaps the best location among all the major communities on the lake. 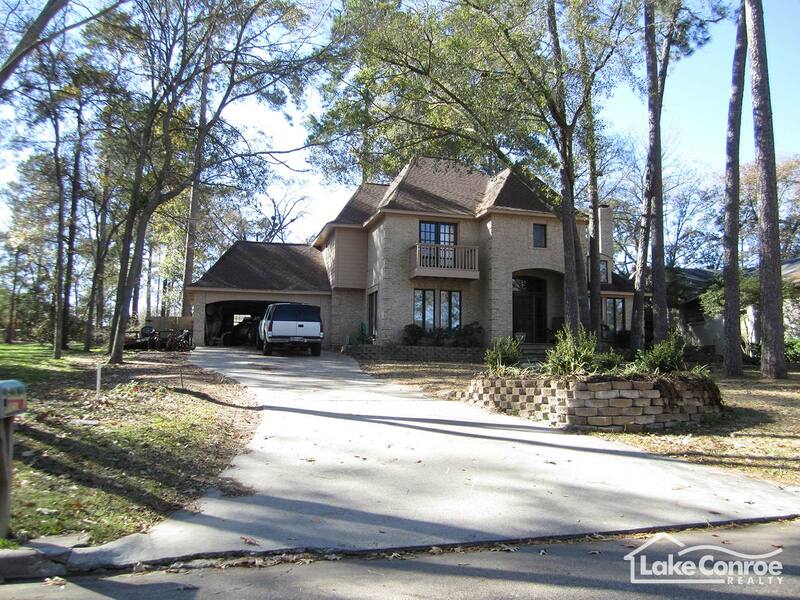 Located off of Highway 105, one has easy access to Montgomery if you go 5 miles west and Conroe as well as Interstate 45 is less than 10 miles east. 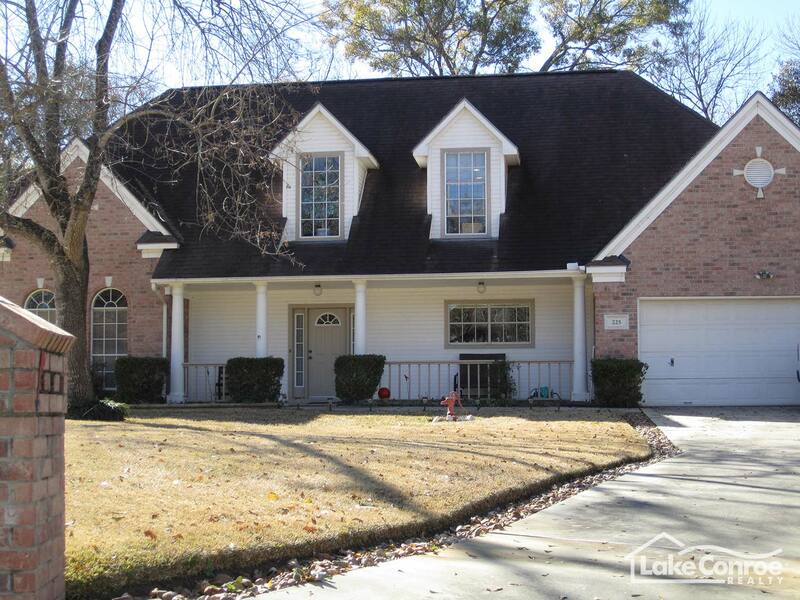 Being so close to Montgomery gives you access to the highly recognized and outstanding Montgomery School District. 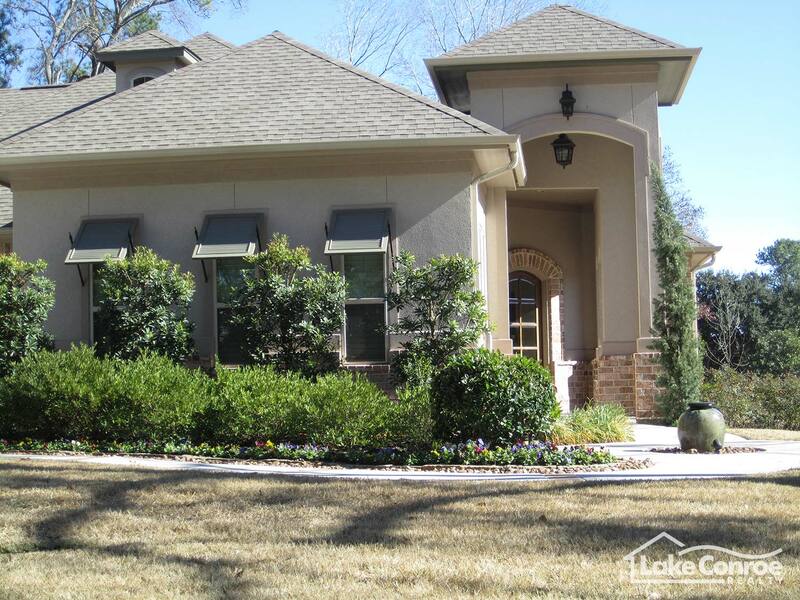 Just a stone's throw in the opposite direction is Conroe and I-45 which gives you access to many quality eating, entertainment, and shopping destinations. In addition, April Sound is located right on the South End on the lake where many restaurants and Marinas are also located. The combination of all these really gives April Sound the best of both worlds and has become one of the most desirable communities to live in the area. April Sound is a gated community and to gain access to it you must pass the constantly operated guard shack. This security is 24/7 and provides a comfort to many people because it gives a huge sense of security. Beyond the guard shack is the many rolling hills, gradually winding streets, and trees that give April Sound a very scenic and beautiful appearance. 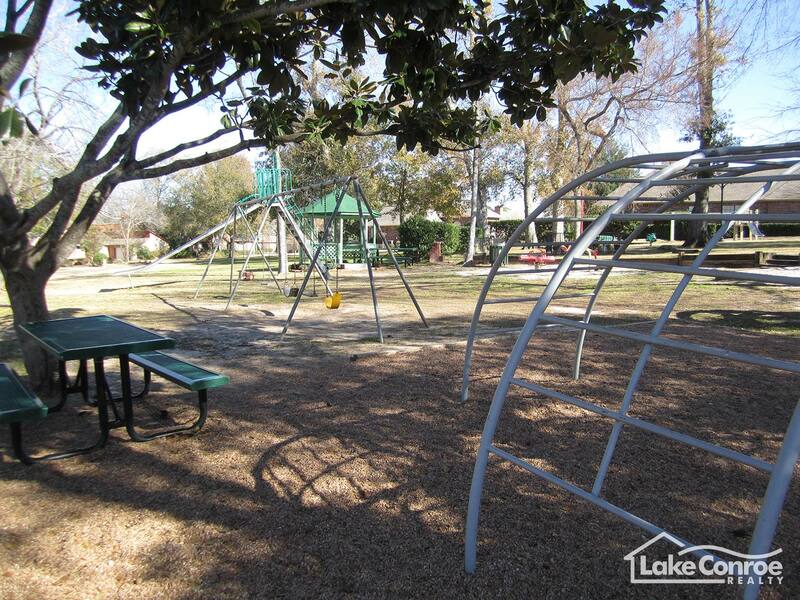 Dispersed in the neighborhood are a few small parks with swings and other playground favorites for the children. Upon immediately entering the community and passing the guard shack take the road on your immediate left. If you follow that road you will come to the community church as well as the main park up the road. The park has a baseball field, a large grass field for football or soccer, and many other facilities for children and barbeques. The Clubhouse is located at the very end of the main road allowing easy navigation to the major amenities of the community. The overall scenery and atmosphere contribute to something that is very unique to April Sound. 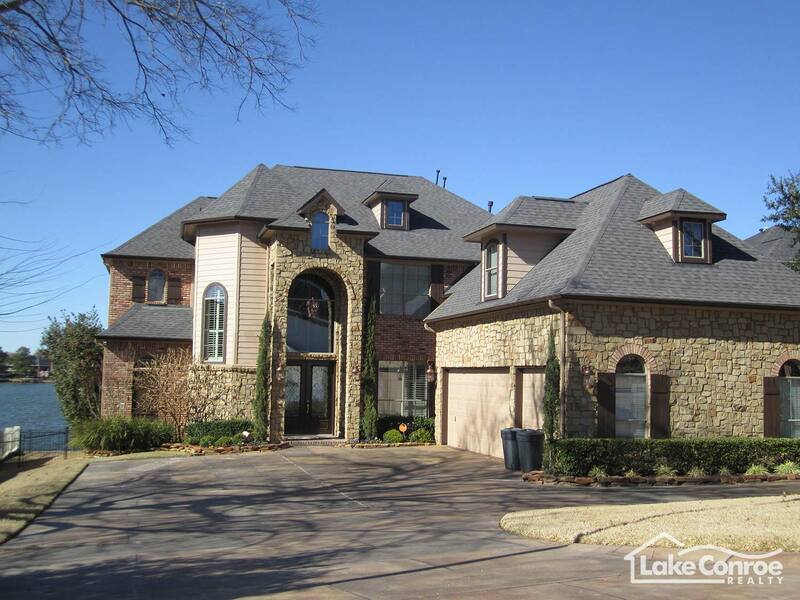 Looking for a weekend place or maybe a permanent home? April Sound has it all from 1 bedroom condos starting at $30,000 to multi-million dollar homes and everything in between. My Husband Jamie and I have lived in April Sound and have sold homes in the communities for over a decade. 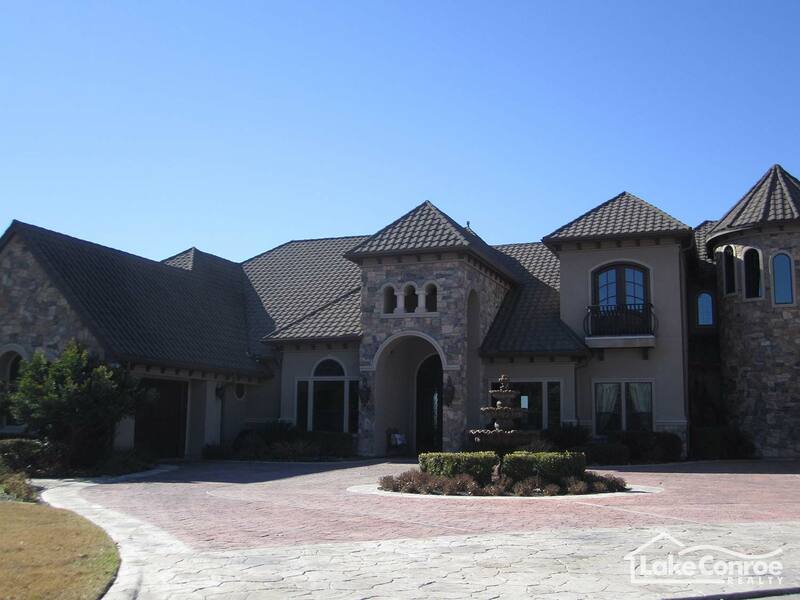 We will be more than happy to schedule you a tour of some of the nicest properties for sale and also get you into a community that is exclusively private that you would not be able to see otherwise! April Sound is so well kept for its age it has been one of the most popular places to live on the lake since the day it was developed. Take Hwy 105 West approximately 11 miles from Interstate 45. Go past the Waterpoint Center and several waterfront dining restaurants on the right. Pass Tejas Blvd. and Marina Drive and begin looking for the white picket fence on the right hand side. The light at the next intersection is April Sound Boulevard. Take a right and non residents must be in the left hand lane and stop at the guard house. 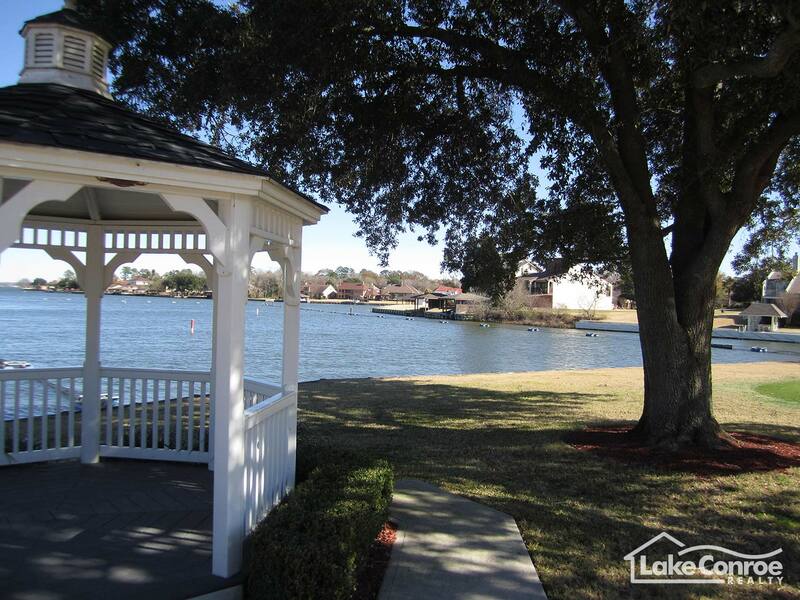 Lake Conroe waterfront is a gated access neighborhood with many amenities.